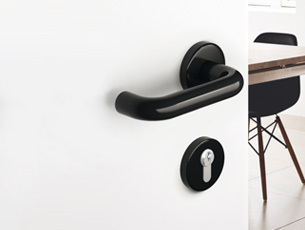 With the door lever fitting 111, HEWI has written design history. An ergonomic shape, mirror-bright surfaces and characteristic colours have meant that System 111 has become a true classic in architecture. A steel core in the interior of the polyamide door lever fitting and advanced technology, as well as the careful processing of high-quality materials, guarantee long-lasting quality. 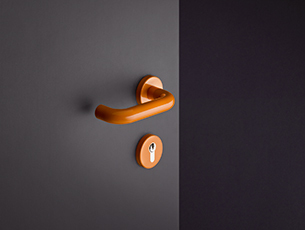 The U-shape of the door lever fitting enables a secure grip and a pleasant, tactile feel. As early as in the year 1982, System 111 was honoured with the iF product design award. 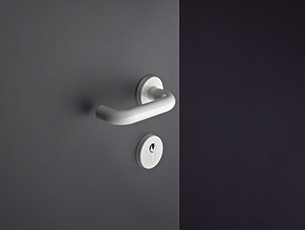 Material options (Polyamide and Stainless Steel), high levels of functionality and numerous colour options still distinguish the hardware of System 111 today.